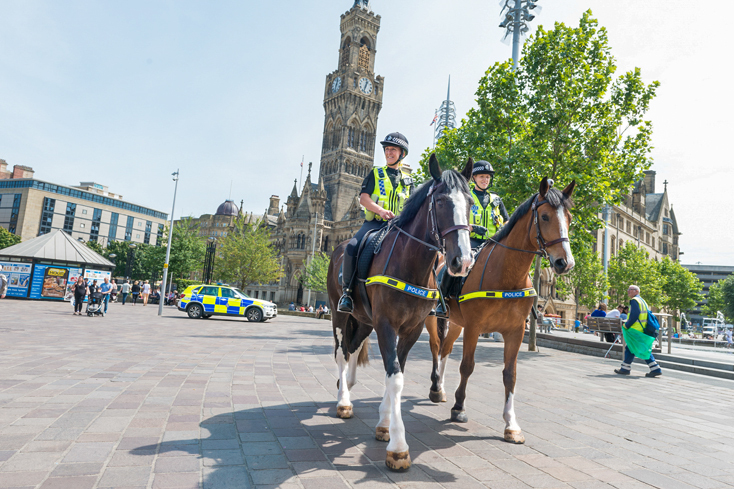 Project Servator are currently working towards ensuring the safety of 1000’s of visitors expected in Leeds in 2019. The Project Servator team were deployed for 5 days into Leeds city centre from Monday the 25th of March to Friday the 29th of March. 5 deployments - 5 arrests. The arrests were for a number of offences including being Wanted on Warrant, Possession of drugs with intent to supply and Possession of a rather nasty looking lock knife. On Wednesday the 27th of March we deployed again with Greater Manchester's British Transport Police. We covered Leeds train station and also the city centre. Project Servator lead the way in joined up policing and enjoy working with other teams from across the country on a regular basis. On Saturday the 4th of March Project Servator, ably assisted by our colleagues at West Yorkshire Police Mounted Section had a very productive day. 1 Male was arrested as he was wanted on recall to prison. Whilst we were dealing with this male our eagle eyed mounted officers observed a vehicle who’s occupants attracted their attention. Upon further investigation 1 male was found in possession of some cannabis and was issued with a community resolution. A second male was registered as a missing person. He was also wanted on suspicion of 3 domestic assaults. Whilst making our way back to our van a member of the public drew our attention to some males who were drinking alcohol in the town centre. One of these males became verbally abusive and was duly arrested for a public order offence. Follow our extremely observant mounted colleagues on Twitter. 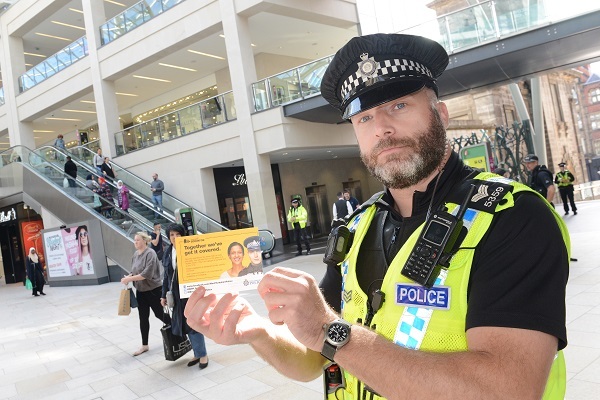 Project Servator actively promotes partnership working and has been hard at work ensuring Leeds City Centre has a network of vigilance in place. A fantastic example of this took place on Saturday the 23rd of February where Leeds BID Ambassadors observed a male acting suspiciously. They immediately alerted our team and the male was located and arrested and charged for breaching his Sexual Offences Prevention Order. Bus services in Leeds are getting on board with a cutting edge police project to disrupt criminal activity. 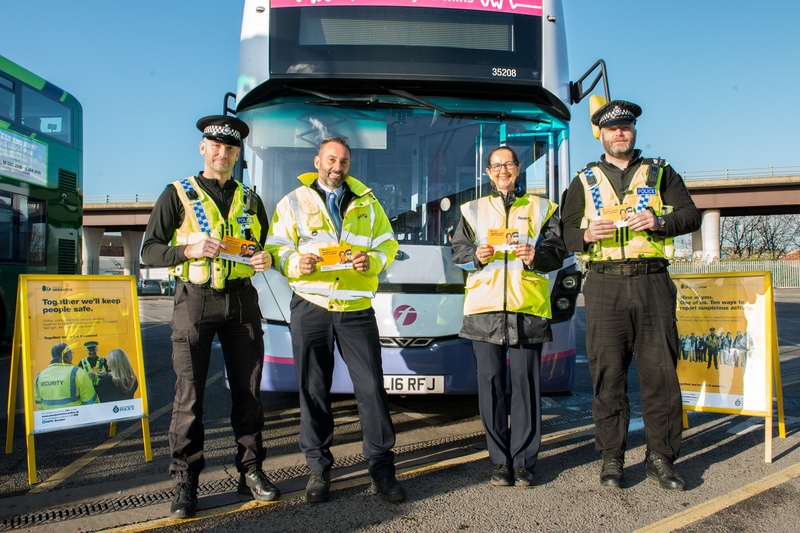 A number of First Leeds services are to begin to feature specially designed artwork for Project Servator from January as part of continuing work by authorities to encourage residents to report suspicious behaviour and make it more difficult for criminals to operate. Project Servator aims to disrupt a range of criminal activity, including terrorism, while providing a reassuring presence for the public. We are working with partners, including businesses and the public, to continue to protect West Yorkshire communities and everyone who lives or works here and make it a difficult place for criminals and terrorists to operate. Read the Project Servator Launch in Leeds News Release here. If a Project Servator deployment is happening where you are, there’s nothing to worry about. They are normal police deployments. Project Servator sees the deployment of both highly visible and covert officers, supported by other resources such as dogs, horses, firearms officers, vehicle checkpoints, Automatic Number Plate Recognition (ANPR) and CCTV. The deployments can happen anywhere and at any time and include officers who are specially-trained to spot the tell-tale signs of individuals who may have criminal intent. 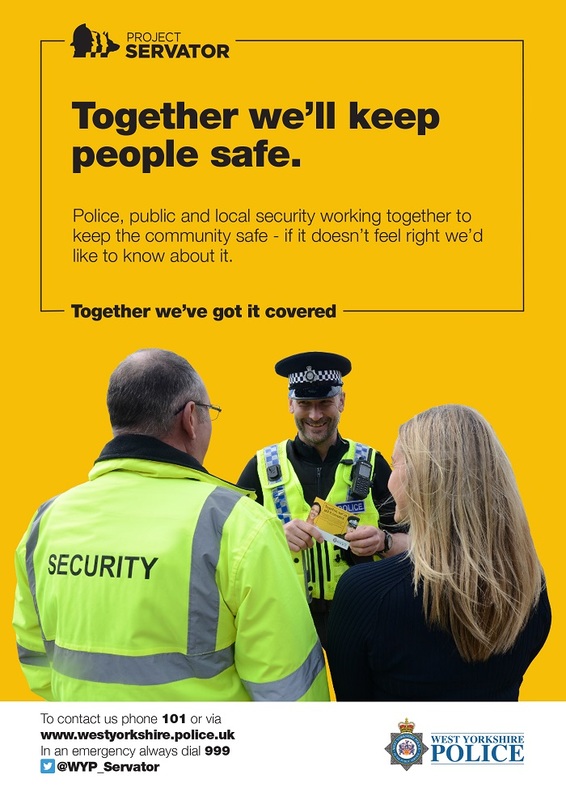 Officers will talk to the public and local businesses to let them know what they are doing and remind them to be vigilant, trust their instincts and report any suspicious or unusual behaviour. You may also see officers handing out leaflets explaining what Project Servator is, or posters on display. Working with the community is a vital part of making Project Servator a success. If you have any questions please feel free to talk to our officers. Our teams also work with partners, such as British Transport Police, security staff and CCTV operators to carry out deployments. Together, we’ve got it covered. 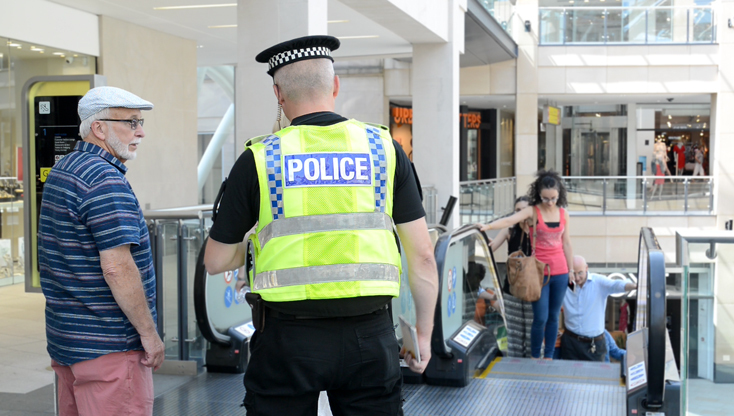 You can report your concerns to officers who are out and about. Alternatively , contact us on 101. In an emergency, always use 999. View a local TV news clip featuring coverage of Project Servator deployments in Leeds and York. The clip was broadcast last night (Monday) on BBC Look North and includes an interview with ACC Russ Foster. The Force is working with partners, including businesses and the public, to continue to protect West Yorkshire communities and everyone who lives or works here and make it a difficult place for criminals and terrorists to operate.